After two c-sections, Melissa and Ramsey of Pensacola's Any Day DJ knew that baby number 4 would have to arrive in the same way. 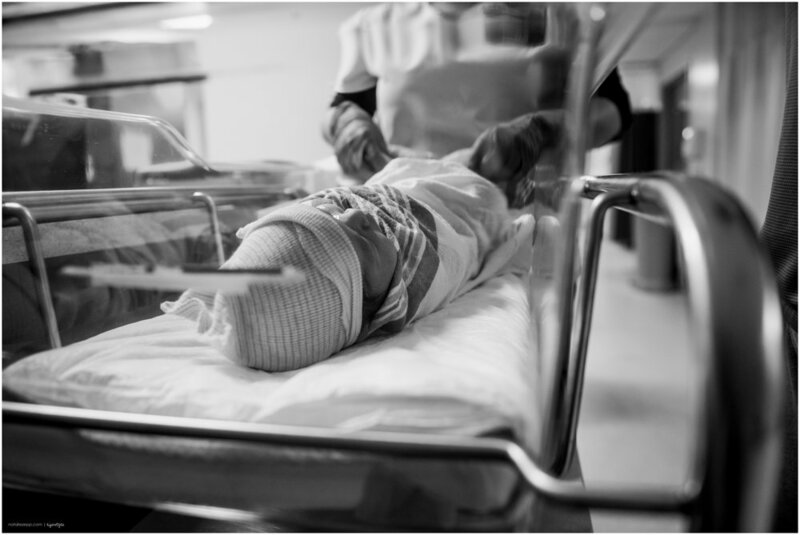 Even though Sacred Heart won't allow me in the operating room (unless dad wants to give up his seat...like that would ever happen), there is something I love about photographing c-sections. Scheduled births are less frenetic and there is often more time and always more space to set up creative shots. And I always bring a back-up camera to send into the OR without me. pensacola birth photography. I have been waiting a while for clients who wanted to wait to find out their baby's gender. I did a little fist pump inside when, at a baby shower for a mutual friend, Melissa & Ramsey told me that they wanted to be surprised this time around. With a brilliant last minute idea and the surgery delayed, we were able to document everyone's guess...Boy or girl? During the surgery, I had to in the waiting room while my favorite Sacred Heart baby nurse, Angie, once again pulled double duty as my assistant photographer and took my camera into the OR. While Ramsey set up to DJ the birth, I sat with family and friends. Watching and snapping as the anticipation built. BOY? GIRL? Every second was torture! It was, however, worth it to capture everyone's reactions when they finally got to meet baby Beckett. Especially big (and little) brother Anthony. He KNEW he would get a brother and his excitement was ADORABLE. Click play and check it out! Once 50 people have commented on this post, Melissa & Ramsey will receive a FREE 8x10 mounted print (a $40 value). Please take a moment to help them reach that goal.